You’re on the same stage as last nights incredible DJ performance, only now you are front and center… teaching yoga to a hundred sweaty bodies on that very same dance floor. Many people who attend music and yoga festivals regularly, eventually decide they want to contribute back to the community. Whether it’s through volunteering, vending, teaching, or performing, there are a lot of options. Lucky for you, teaching yoga is one of them! Not to mention, teaching at a festival gives you the opportunity to connect with tons of like minded people who just might be your future clients! Having spent 6 summers teaching at festivals ranging from All Good Festival to Burning Man, I can tell you from firsthand experience that teaching yoga at festivals is extremely fun and rewarding, but also hard work! A great deal of effort is involved before the festival occurs, most importantly preparing an amazing application to secure a spot! Why teach or attend festivals? Many of us in Western societies feel disconnected to ourselves, our friends, and the planet due to stress, pollution, overworking, eating poorly, etc. whether we realize it or not. Festivals give a glimpse into a different way of living that may alleviate some of that disconnection. While on the outside a festival may look like just a party, the truth is they can provide a catalyst for change through celebration, community, and participation. Attendees are exposed to a cohesive environment of like-minded people coming together for the same purpose: to better themselves, their community, and the world around them. When one realizes the impact this makes on a micro level, they start implementing small shifts in their day to day life. Festivals can be life-changing experiences for many people. While on the outside a festival may look like just a party, the truth is they can provide a catalyst for change through celebration, community, and participation. Teaching yoga is an impactful way to give back, participate and encourage these positive changes within the festival attendees and staff alike. Most music festivals now offer an expansive and diverse yoga lineup (such as Envision Festival, which offers an incredibly diverse yoga/movement schedule all day long). This means there is plenty of opportunity to teach yoga at festivals! So why would you want to teach at a festival? You have the opportunity to teach in a unique setting outside of a studio, gym, or other regular yoga location. It’s a great way to get outside of your comfort zone! 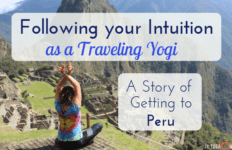 You may get to travel to another city, state, or country to teach yoga! 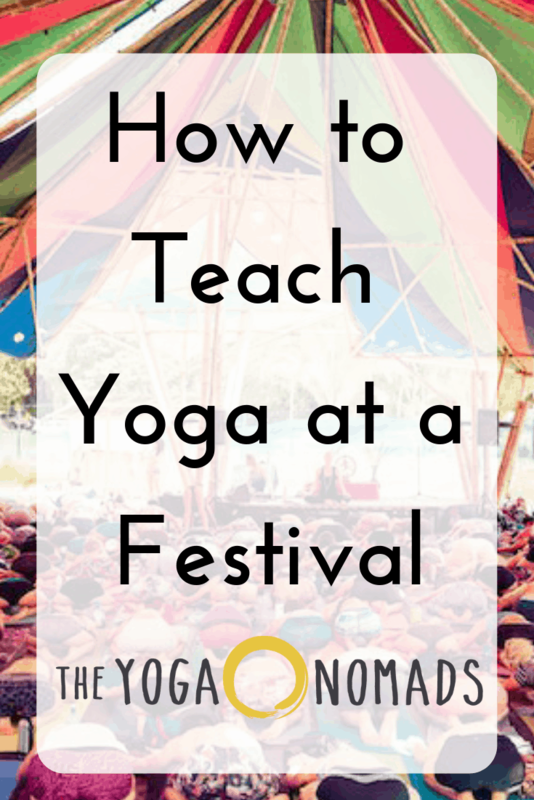 If you are committed to teaching yoga at a festival, there are a few things you need to do to ensure you are ready. But first, be sure to have your class or workshop idea ready to go. 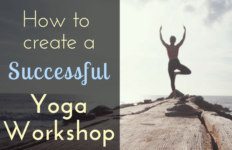 Check out How to Create a Successful Yoga Workshop for tips. Am I ready to teach at a festival? You have to be willing to take on more responsibility and be a role model to others. This doesn’t mean you can’t have any fun, it just means you have to organize when you can have fun. 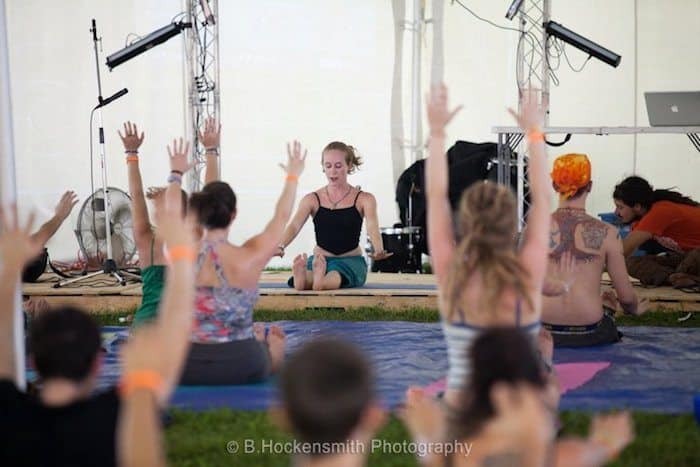 Time management is an essential skill when it comes to leading a yoga workshop at a festival. Teaching at festivals is also a great way to push yourself and get outside your comfort zone. You will likely be teaching a much larger group of people than usual (could be anywhere from 25 to over 100 people or more!). You will also probably be on a microphone or headset, which is not common at small, intimate studios. And you will probably be on stage! Many times it could be a stage a musician graced their presence with at some point during the festival, which is always a magical feeling. You will probably be leading the class through demonstrating the postures more than instructing a class through stepping off your mat to walk around and give adjustments. This can be viewed as a downside, although some festivals will have adjusters down on the ground for this purpose. 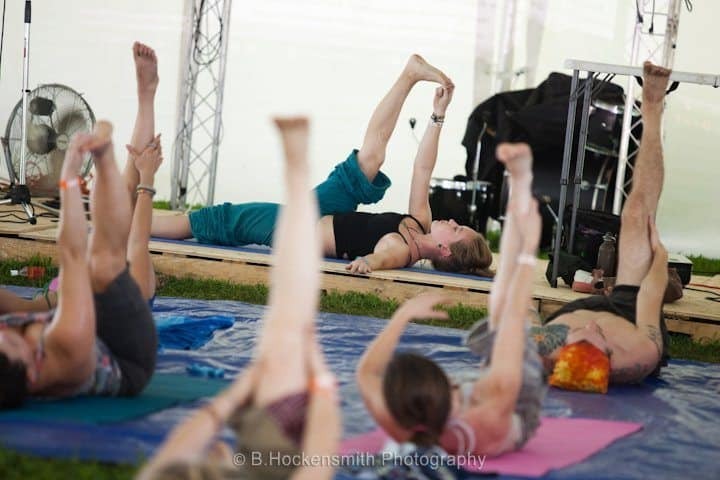 However, it is important to make your festival yoga class accessible to ALL LEVELS! 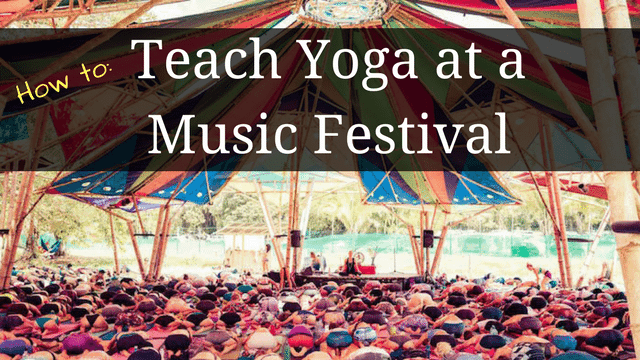 The application process is a crucial part of securing a yoga teaching job at a festival. The most important thing to keep in mind is… Why are YOU the right person to teach yoga at their festival?! With so many other applications being submitted, it’s important to stand out. You’ll help market the event – do you have a website? Email list? 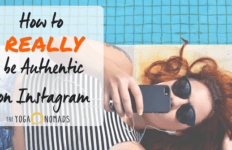 Social followers? Do you have adequate experience – how long have you been teaching? Is this your first festival? As mentioned before, getting your class or workshop idea together is the first step. You may already have them compiled. It is recommended to update them yearly especially if you are teaching at the same event every year (or multiple festivals in one summer), so that you have different offerings. Don’t be afraid to get creative, especially at festivals! I have offered one-time workshops at festivals that I have never offered anywhere else. You can experiment with combining different elements of yoga/movement practices or anything your heart desires, really! There may even be an overall theme of the festival you could tap into as well. Make sure that your workshops have creative titles and clearly explain what they’re going to be about. A standard class name like ‘vinyasa’ is not going to catch anyone’s eye while they’re reading your application. A chakra meditation combined with the flow of hoop dance and the grace of yoga. A playful practice to open the body’s energy physically. Embrace your dreams through movement and breath. Set your intention and create a personal yoga sequence that expresses your deepest desires. Find a slice of Samadhi in this flowing yoga class fusing imagery with core-powered consciousness that will melt your heart into a blissful state. Be reasonable in your search. How feasible will it be for you to attend if accepted? Be sure to look at the distance and travel expenses to get there. Know that it is often more difficult to get accepted at events that are much further away. Start within your community first and grow from there. 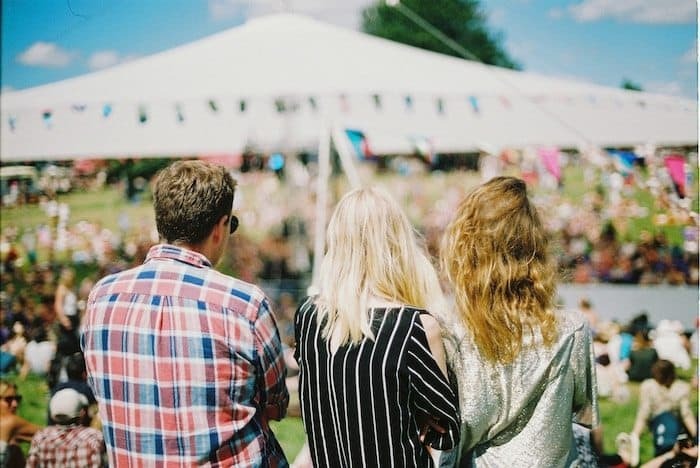 You may already have a festival you attend every year that you can try to get involved with. What are your requirements to teach at a festival? Will you teach in exchange for a ticket and meals? Or do you require payment? Will your transportation reimbursed? Do you need the festival to provide any of your supplies? How much time do you need for your workshop? Create a budget for yourself to present to the festival and be prepared to defend what you ask for (i.e. my transportation will cost x amount, so ask for that amount). Also, keep in mind the requirements of the festival. They may require specific workshop times or lengths (i.e. morning or afternoon, 1-2 hours). Be sure to get as much information from them as possible as to what they also expect from you. Do they expect you to arrive early for setup? Do you have to stay to help break down for the next presenter? These are the types of questions to ask. Have a well packaged media portfolio that consists of a website, photos, social media, resume, and testimonials. You need to convince them that you have something special to offer. This is also a good place to create a bio and get some workshop/class descriptions together that define who you are and your style of teaching. Most festivals will have a form for you to fill out online, unless you are asked to email your proposal directly to the coordinator. There will be fields for you to enter and attach all of the above information. Usually there is a limit on photos, so be sure to choose your best ones that truly represent your work. If you are emailing your portfolio, you can package it together in a ZIP file or combine everything into a PDF document. This is another reason why having a website helps your yoga career. Download the Beginners guide to Creating a Yoga Website you Love to get started. 6) Submit an amazing application! Now we get to the most important step – actually applying! It doesn’t feel real until you hit that send button, right? First, you want to make sure that you stay on top of when applications come out and deadlines for when they stop accepting them. Teaching workshops at festivals, especially larger ones, is very popular and often competitive. Be ahead of the game and check the festival’s website regularly to ensure you’re up to speed. Be clear and concise with everything you write, making sure no one section is too long or too short (sometimes there are word limits, so edit what you have to make it fit). Make sure you have everything filled out correctly, spell-checked and grammar-proofed, and then hit the magic button! Remember: Most festivals are looking for the following: You fit their vibe, you’ll help market the event (website+socials), and that you have experience to back it up. Festivals usually take at least a month after the deadline to respond to their applications for workshops. Some may not respond at all to your application. It helps to start small and local – within your community. When people know you, they are more likely to hire you (unless you can, of course, impress them with your amazing workshop idea + overall package). So don’t be discouraged if at first you are not accepted to every festival your apply at. However, once you begin to get comfortable teaching at your local festivals, you can then branch out to try to teach at larger festivals. It’s up to you what and where you want to teach when it comes to festivals! The opportunity to teach at your favorite event is a dream come true for many yoga teachers. 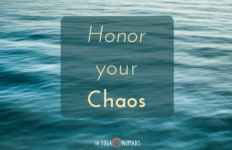 While there is a lot of planning that goes into and you may end up dealing with some wacky situations, it’s a great way to build your yoga business while also learning to roll with the punches! PS did you enjoy this article? Pin me! Lindsay Nova is a traveling yogini, dancer and performance artist. She is known to always have a hula hoop and a yoga mat with her and loves adding a little circus flair to anything she does. She has taught yoga and movement arts across the United States and currently travels the globe teaching and writing, with her most recent residencies in Thailand, Costa Rica, and Nicaragua.